Every Website Tells a Story. What is Yours? All of us interpret websites differently. Some of us look for functionality – pages should load fast and be error-free. Others are focused on user experience. Intuitive content, easy navigation, nothing too difficult to get one’s head around. Others are attracted to aesthetics. It’s not enough to create a website, it should appeal to different people on different levels. Of course, these are not mutually exclusive criteria. The personality of the business is equally important, as that is what ultimately ties it all together. When choosing a WordPress theme for your blog or website, have you ever felt that certain themes just did it for you? While others, no matter how highly rated or packed with features, lacked a little something? They were not quite right? When it comes to creating a website, there are so many factors to consider and things to look at, that achieving the perfect design might feel like a daunting task. It need not be daunting though. In fact, it can be a lot of fun. A website is way more than a marketing tool. It is a place where a business presents itself to the world on its own terms. The most important thing that Web designers should bear in mind is the personality of the business, and how the website portrays this character and narrates the story of the brand. As a user browses through a website, you want her to get sucked in by the experience. You want her to keep clicking and finding out more about it. Colors are often the first thing a user notices about a website. What colors does your website use, and why? Do they tie in with the logo of the brand? Do they capture the essence of the brand? Red stands for passion, but that does not necessarily mean that all businesses founded and run on passion need red in their websites. In fact, it might be a downright bad idea to do so. Similarly, green is a good color to consider if yours is a website geared toward environmental issues. White makes a great backdrop for health-related websites. Look at colors as something that captures a brand’s personality. To this end, it might help to study the role colors play in human psychology. Stirred, not shaken. That is how James Bond prefers his Martini, and that is also the effect content creators should aim to have on their readers. That is Jack Daniel’s welcoming us to its website. We know at once what they are celebrating, and how they prefer to do it. A slight scroll downwards begins the narration of the Jack Daniel brand with Jack Daniel’s Story of Independence. You keep scrolling down and you keep learning of the introduction of different whiskies and what makes them unique. If you are the kind who loves his whiskey, this is a story you might want to read. One gets to understand the dedication, passion, and expertise of the people behind the business, and how they made Jack Daniel’s a global name. Now, this is an iconic brand we are talking about, and their website and several others might provide inspiration for your own website. What about the smaller, startup businesses? Do they have similar stories to tell? We all have stories to share. Your cherished business did not see the light of the day without its founders (and often their families) making sacrifices. There were challenges that were conquered, setbacks that were faced, and most likely evolution of services and products that took place. An upward trend need not be narrated via charts and graphs. Pictures, punchy lines, and videos could capture it too, and, indeed, make the effect more dramatic. The Web content needs to capture the growth of your business, or the story thus far, while also conveying its purpose. It is the content, the blurbs, the colors, the theme, the pictures -- and just about everything you see on a website. You want to pay careful attention to all of these aspects for them to come together in the form of a design that captivates user attention. We spoke about content earlier. Pay equal attention to the fonts and the typeface used as well. Why was Steve Jobs so obsessed with fonts? That is because every little thing that goes into a product creates an impact. Fonts especially so. “I learned about serif and sans serif typefaces, about varying the amount of space between different letter combinations, about what makes great typography great. It was beautiful, historical, artistically subtle in a way that science can't capture, and I found it fascinating." Each font has a distinct demeanor. It conveys an emotion. Calibri looks rather sedate. HP Simplified looks nerdy, a throwback to MS DOS days. Segoe Print looks artistic, the kind that would suit a travelogue. 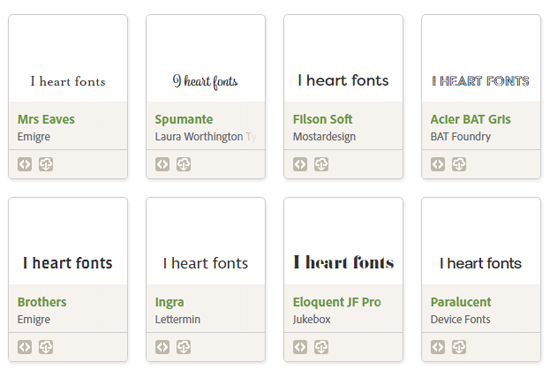 Fonts can look cluttered or clean. They can look sober or rowdy, playful or professional, feminine or geeky, archaic or modern. Along with colors, they can set a mood for the visitor. And you want to ensure that this mood is on the desired lines. On the topic of Jobs--such was his love for simplicity and insistence on practical functionality, that the man’s own tastes fueled a design revolution. No gimmicks and nothing more than what was needed. To say a lot of thought went into designing the Apple hardware and software under him would be an understatement. He was plain obsessive about design. And what he accomplished, in terms of the minimalistic look of the operating system, as well as the Macs and the iPods, tells the story of what Apple stands for. It’s a matter of taking these principles and understanding that what we design is ultimately a reflection of us. Indeed, it cannot be any other way. What impressions does your website convey? Does it accurately, or emphatically enough, put across the values of your business? Does it portray your passion to design clothes, teach underprivileged children or help other small businesses? Does it capture your struggle or your expertise, both of which lend credibility to the business owner? Once you’ve answered these questions, a professional Web design team can help bring your vision to life, customizing far beyond basic templates and themes. Simple tweaks and a deeper understanding of essential requirements for high-traffic, high-converting websites make choosing your design team a critical decision for your company’s digital future. Be sure to do your research before building your website, drawing creativity and inspiration from top brands, as well as other businesses in your industry. Your website is your story – be vibrant, be unique, and share it with the world.